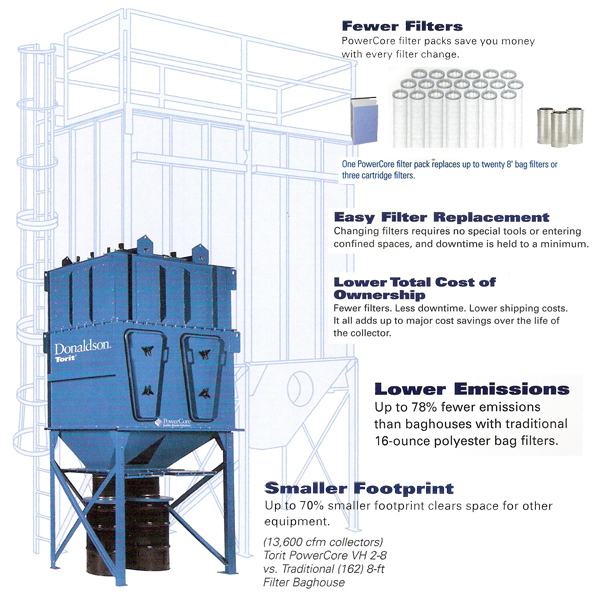 On every measurable scale, Torit PowerCore dust collectors outperform traditional baghouse and cartridge collectors. The new VH series is smaller and much more cost-effective. And, from installation until the day it retires, it is so easy to use and maintain, you will never have to think twice about your Torit PowerCore dust collector. Up to 70% smaller footprint clears space for other equipment. 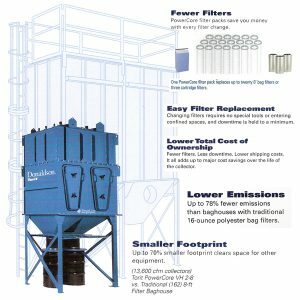 Fewer filters, easy and quicker filter replacement. More durable; all heavy gauge steel and all-welded design withstands abrasive dust and harsh external environments.